NEW DELHI — The Telecom Regulatory Authority of India (TRAI) today has released the “Indian Telecom Services Performance Indicator Report” for the Quarter ending 31st December, 2018. This Report provides a broad perspective of the Telecom Services in India and presents the key parameters and growth trends of the Telecom Services as well as Cable TV, DTH & Radio Broadcasting services in India for the period covering 1st October, 2018 to 31st December, 2018 compiled mainly on the basis of information furnished by the Service Providers. Digitization, with addressability, of cable TV sector has been completed. The country achieved 100% digitization of Cable TV network. This is a stupendous achievement making India as the only large country where 100% digital cable has been achieved through mandatory regulations. DTH has attained net pay active subscriber base of around 70.49 million in QE 31st December, 2018. 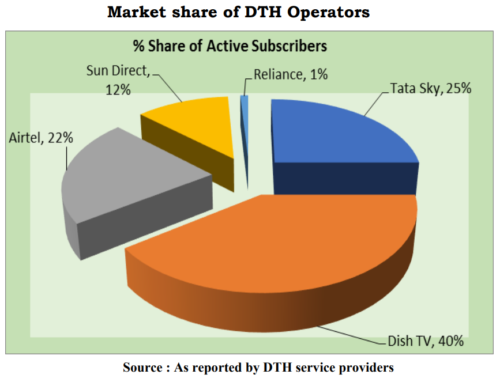 This is in addition the subscribers of free DTH services of Doordarshan.